A cup of tea is over 99% water, so is it any surprise that the quality of water that you use makes such a huge difference in the taste, appearance, and smell of your beverage? By using fresh, distilled water for tea you are ensuring a consistent, excellent tasting product every time. Your customers will be amazed and will not want to go anywhere else, especially after they learn that it’s healthier too. An added benefit is ice tea that stays fresh much longer as well as greatly reduced maintenance on your machines. Our systems provide the best water for making tea and coffee, they are completely automatic, waste hardly any water and are easy to maintain. To learn more, download our PDF. View our video. 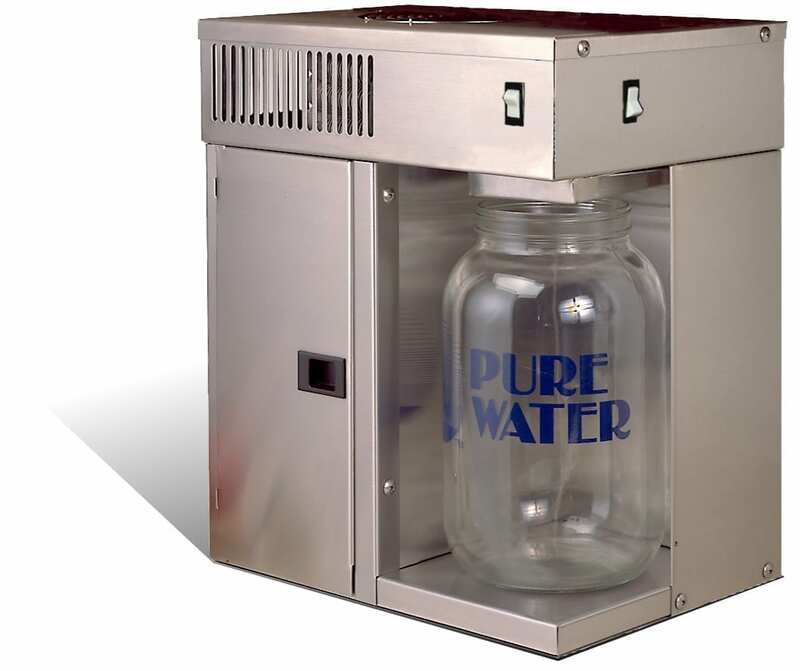 The Pure Water Tea & Coffee Shop Package is a complete package for high-end tea and coffee shops that includes a turnkey, commercial water treatment system, a high-end water dispenser, and a complete promotional package. Now you can offer a truly superior cup of coffee or tea because you are using great-tasting, pure water as your main ingredient. Produces the best tasting, cleanest water available. This package includes a commercial water distiller, automatic water softener, a hook-up kit with tubing and fittings, premium water dispenser and promotional kit. 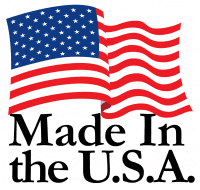 Rated Distilled Water Production: 60 US gallons (227 liters) per day. The Pure Water Tea & Coffee Shop Package is a complete package for high-end tea and coffee shops that allows you to offer pure water as an option instead of as a standard item. This package includes a turnkey, premium water treatment system, a high-end water dispenser, and a promotional package. Now you can tap into the important group of consumers who are willing to pay extra for purity, which includes people who buy organic food and bottled water. 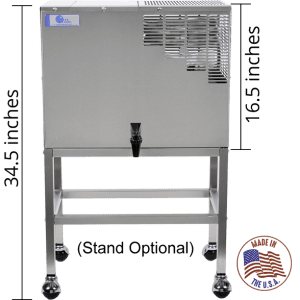 Package includes a commercial water distiller, automatic water softener, a hook-up kit with tubing and fittings, premium water dispenser and promotional kit. 4,500 grain water softener cartridge system. 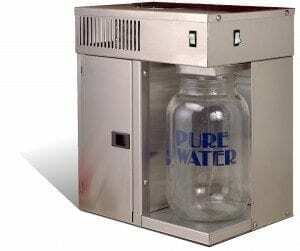 The Pure Water Mini-Classic CT is a compact, countertop steam water distiller that produces high-purity distilled water from virtually any fresh water source. This appliance does not require installation and is perfect for individuals who want the ultimate tea experience. 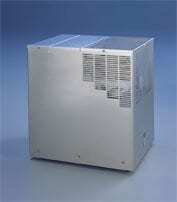 Produces consistently high-purity water for all consumable uses.